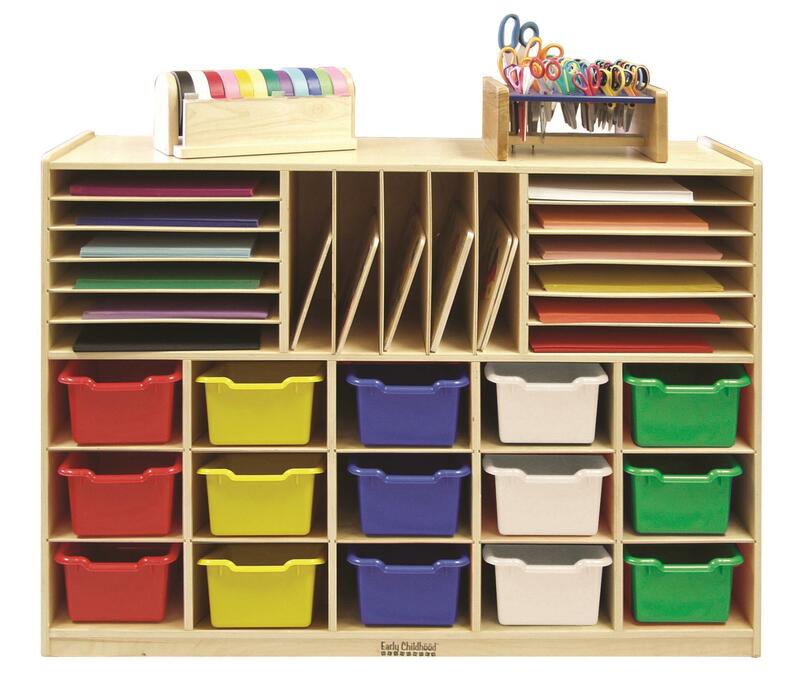 Unique, birch classroom storage unit designed for sorting and storing papers, homework and art supplies! Bins included. Casters inculded for mobility.